President Trump may be a friend to producers of coal — but his administration is already working to shortchange the communities that produce it. 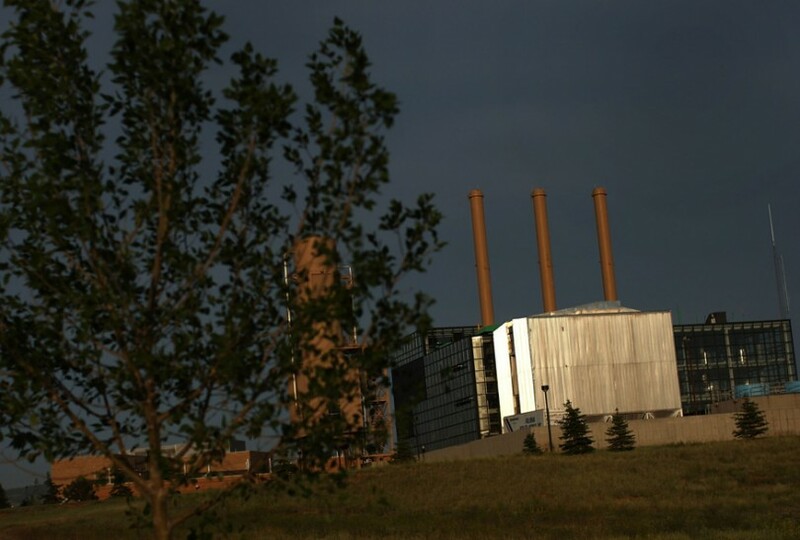 A coal fired power plant in Laramie, Wyoming. On Feb. 22, the Trump administration initiated one of its first major reversals of an Obama-era regulation addressing coal mining on federal land. But President Trump, who has never been shy about making grandiose promises to coal country and coal miners, was surprisingly silent on the matter. There was no photo op with coal workers and mine operators in the White House, no promise of new jobs or an industry revival. Although the move appeared to be in line with administration goals — in his recent statement on the Paris Agreement on climate change Trump said that he happens to “love the coal miners” and that withdrawing from the accord would protect U.S. jobs — the White House didn't even issue a press release. The coal industry was quiet on the move, too. No wonder. The postponement of what is known as the “valuation reform rule” — which the Department of Interior is now pushing to repeal, citing Trump's mandate to roll back government regulations — makes explicit an uncomfortable truth: President Trump may be a good friend to mining companies, but some of his administration's actions are destructive for miners and the states in which they live. The new rule — five years in the making and implemented on Jan. 1 — was considered by some economists and policymakers to be a major step forward for states that depend on revenues from coal mining. It closed a 28-year-old industry-friendly loophole that was viewed by many, including stalwart friends of the fossil fuel industry like Alaska Sen. Lisa Murkowski, as one that robbed the public — and coal communities in particular — of their fair share of royalties from coal mined on federal land. Over time, the new rule aimed to substantially increase the amount of money flowing into state and federal coffers. While coal companies claimed that reverting to the old method of valuing royalties on federally owned coal, oil, and gas would not negatively impact the Department of Interior and “would not harm … any member of the public,” those minding the budgets in coal-heavy states don't all agree. Steve Charter, a third-generation Montana rancher and member of the Northern Plains Resource Council, a nonprofit that works on conservation and agricultural issues and has objected to the loophole for years, said the Obama-era rule was a common-sense measure to ensure that states and the federal government get their fair share of revenue from a public resource. Trump’s overwhelming victories in coal states were tied to the industry's decline and his promises to revive it. Trump may be a friend to mining companies, but some of his actions are destructive for miners and for coal country. Citing Trump's mandate to roll back government regulations, the DOI is pushing to repeal the valuation reform rule. Estimates vary, but a 2015 study by Headwaters Economics, a nonpartisan research group in Bozeman, Montana, found that Montana and Wyoming are losing millions of dollars annually under the current regulations. (Because pricing information is considered proprietary and ONRR does not make all of its revenue data public, it's not possible to come up with precise figures.) The study looked at royalties from 2008 to 2013, when exports were robust, and concluded that Montana was losing at least $5.1 million and Wyoming $124 million every year. (Wyoming produces far more coal than Montana.) But even during a down market, says Mark Haggerty, the report's author, both states stand to lose considerable sums. Trump's overwhelming victories in Wyoming and Montana were directly tied to the long decline of coal mining and his promise to revive a dying industry. Both states currently face severe budget shortfalls largely due to a sharp drop in coal production and persistently low oil and natural gas prices. Montana's General Fund, much of which is invested in education and other basic government functions, is expected to drop by more than half, from $255 million to $109 million before the end of the year. In Montana, 75 percent of federal mineral royalties go to the general fund; the remaining 25 percent are distributed to counties where the coal is mined, primarily Rosebud and Big Horn. Wyoming has faced an even steeper decline in revenues — more than 30 percent over the past year — and was forced to transfer nearly $600 million from the Permanent Land Holding Funds, a savings account it had never drawn on before, to cover the cost of appropriations in fiscal year 2017. According to Alex Kean, administrator of the state's economic analysis division, the reserve account will have a zero balance at the end of the budget year, and he says there are no sources of revenue to replenish it. The state's education budget, 65 percent of which comes from federal mineral royalties and severance taxes, has been especially hard hit. In April the Legislature voted to slash education spending by $34 million (the figure is actually closer to $56 million if cuts approved last year are included). Over the next five years the education budget shortfall is expected to reach $400 million annually, and the state is considering reductions to salaries and student activities to make ends meet. Rich Hall, chairman of the school board in Johnson County, Wyoming, on the western edge of the Powder River Basin, says the economic forecast is bleak. Johnson County School District cut about 3 percent, or $430,000, last year, mostly through attrition and administrative belt tightening, but if current projections hold, staff and programming will be next. Some state auditors and revenue directors in Montana and Wyoming have argued openly that the practice of valuing royalties on sales to affiliated companies robs the very states most impacted by coal development of funding and resources they desperately need. In 2011, Michael Geesey, then director of the Wyoming Department of Audit, sent a letter to ONRR arguing that coal companies should not be allowed to minimize royalty payments through non–arm's length sales. The use of affiliates, Geesey argued, was “highly susceptible to manipulation.” Like many residents in Montana and Wyoming, Geesey, who now serves as executive director of the Wyoming Bankers Association, describes the environmental policies of the Obama administration as a “war on coal.” But he still believes the industry should pay its fair share in royalties. Dan Bucks, a former revenue director for the state of Montana, lobbied for the rule change and testified before Congress in 2015 that the Department of Interior had reduced its authority over the royalty valuation process and “delegated too much power to producers to determine what they pay.” It was near the end of his tenure as revenue director in 2013, after a routine audit of Cloud Peak Energy, that Bucks began to closely examine the fiscal impact of undervaluing coal. Bucks says that the revenue owed to the states is especially crucial now as coal communities in Montana and Wyoming grapple with declining production, the shuttering of power plants, and a future in which coal is no longer king. Hall acknowledges that industry has not been subject to a great deal of accountability. But he worries that an increase in royalty payments could hurt production. “Any measure to de-incentivize production would not get a lot of support even if citizens were shown that they could have received more dollars in the past and going forward,” said Hall. The Headwaters study, however, found that assessing royalties on the first arm's length sale would lead to a .2 percent decline in production. Tom Towe, a former Montana legislator, likes to point out that the city of Butte, once described as the “Richest Hill on Earth” because of its vast copper deposits, is now the largest Superfund site in the country. In December thousands of snow geese migrating south from Canada died after touching down in a former open pit copper mine filled with toxic wastewater. In the early 1970s, when Towe introduced a severance tax on coal production, he made the case that although Montana was known as the Treasure State, its own residents had not been the beneficiaries of that wealth. The money, he said, was primarily going to line the pockets of industry executives or was invested in out-of-state projects. It was an uphill battle for nearly five years, but in 1975 the Legislature passed a 30 percent severance tax on the value of coal at the mine mouth (before that, coal was taxed on a cents-per-ton basis, which amounted to a tiny fraction of overall revenues). Although it has since been whittled down to either 10 or 15 percent (depending on the quality of the coal), the tax has contributed to a permanent coal trust fund that now has $1 billion in it. “It means we will have something to show for the treasure that was in the ground and is gone,” Towe said. Towe was voted out of the Legislature in 1994, after a lobbying campaign by the coal industry. But he has continued to work on energy-related issues as an attorney in Billings. In the late 1990s he served as Montana counsel on a landmark class-action lawsuit against dozens of oil companies in several states, many of which were charged with using affiliates to avoid paying greater royalties. That case resulted in a more than $230 million settlement. “[W]hat the coal companies were doing was selling to subsidiaries and the subsidiaries were selling to someone else either at portside or overseas. … [T]hat definitely sounds just like what the oil companies were doing,” Towe said. Even with a depressed global market and declining exports to Asia, affiliate sales in Montana and Wyoming have remained steady, suggesting that the practice is also being used to take advantage of domestic energy markets. According to the latest numbers, in 2015 about 35 percent of all sales in Wyoming were sales to affiliates. John McArthur, an attorney in Berkeley, California, who has worked on numerous cases involving the use of affiliates in the oil and natural gas industry, says the practice has been widely challenged especially among private landowners. “Many [private] royalty owners have prevailed in forcing the company to pay the higher price they get when they sell to a third party,” said McArthur. Towe is hardly anti-coal. He recognizes the perils of global warming and says more money should be invested in alternative energy and perhaps carbon capture. But he also thinks coal will be part of the picture for years to come and that so long as it is, taxpayers should get their fair share. This story was reported in partnership with The Investigative Fund, now known as Type Investigations, now known as Type Investigations. Adam Federman is a reporting fellow with Type Investigations.